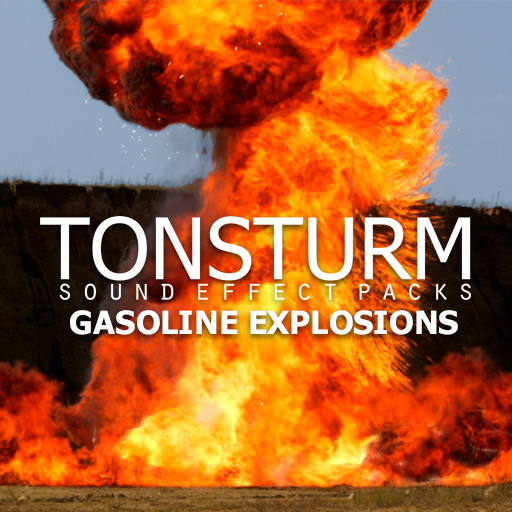 This Soundpack features the pleasing, smooth and air ripping sound of gasoline blowing up. This library features the pleasingly fat and air ripping sound of pure gasoline blowing up. 11 charges varying from 3 liters to 25 liters were recorded from multiple perspectives. We had the opportunity to record at a large dirt pit which turned out to be the ideal spot for our recordings. Besides close and medium distant placed microphones we were also able to feature sounds recorded from very far distance - 150 meters away. These distant recordings were captured with 4 wide spaced omni microphones in quad surround. Please note:: The carefully mastered and edited source recordings feature 2 versions of the same explosion effect in one file. First comes the louder mastered version followed by the more moderate version retaining more of the original dynamics. 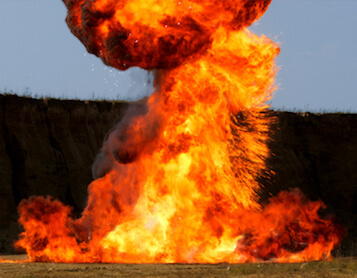 Additionally we came up with carefully designed explosion effects mixed and processed exclusively using the original source material from this library. A big THANK YOU goes to Werner und Babsi!